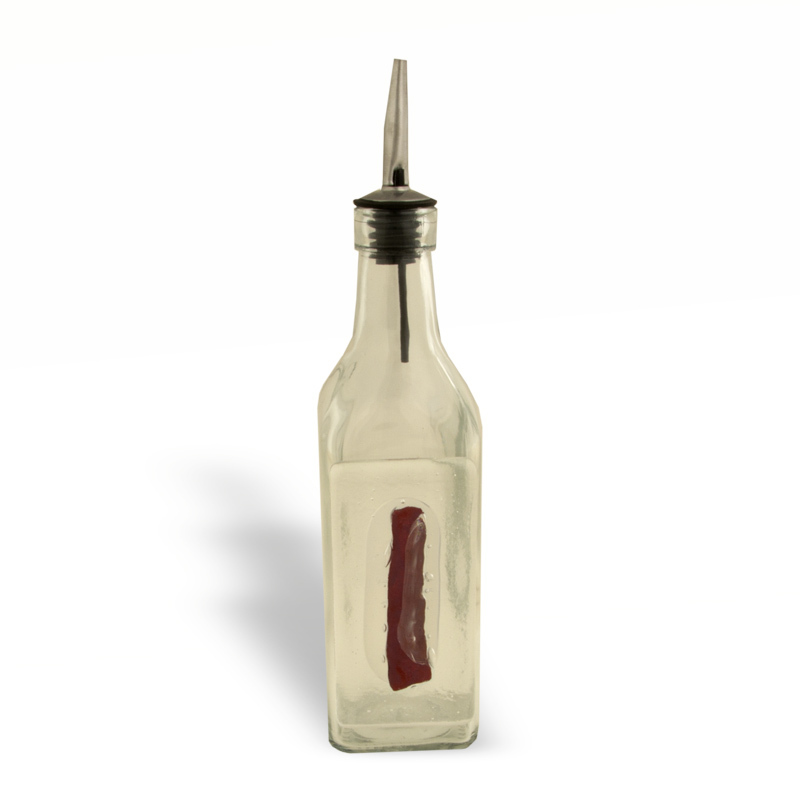 This fused glass oil bottle features a red rectangle using historic copper from the Kansas State Capitol roof. The fusing process changes the green copper into varied colors. When the original copper roof was replaced in 2013, the copper was made available to the Kansas Historical Society and Kansas Historical Foundation for use in products to be sold in the Capitol Store. By Prairie Glass Art Studio of Topeka. Kymm Hughes of Topeka, Kansas, moved from California more than 20 years. She creates unique art with fused glass including pieces with historic copper from the Kansas State Capitol roof. Hughes discovered the world of fused glass while earning a bachelor’s of fine arts at Washburn University. She had always been interested in art and was delighted to finally find a medium that ignited her passion. She develop that interest into a business, at first teaching summer art camps for children, then expanding her audience to parents. Through a trial and error process, she learned all she could about fused glass and eventually began teaching fused glass at Washburn.